My Hero Academia's Hero License Exam arc is finished, and the third season of the series is ending overall, which has start laying the foundation for future events and arcs to come. During all of this it got a surprising update for the fan-favorite Shinso, who has undergone a physical shift since the last time fans saw him in the second season. As Class 1-A were readying for the opening ceremonies for the next they come across Shinso from the General Studies course. 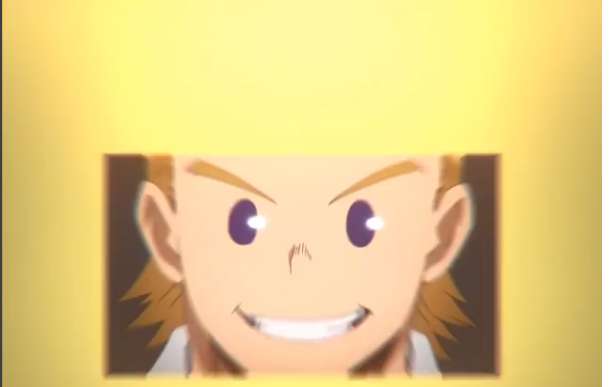 He's still got a surly personality, but fans notice that he's looking a lot different from when fans saw him lose to Midoriya during the Sports Festival. Sero attention that he seems different, like he's been working out and the difference is indeed noticeable. Shinso's sullen shoulders, and instead replaced with a broad upper body and more toned arms. When Shinso lost to Midoriya during the Sports Festival, he mentioned that he has a renewed drive to become a hero and it seems he is definitely putting in the work. What's lucky is about the situation is that the current arc of the manga actually features a returning Shinso. Without giving too much away, Shinso's been working on his own to get into the hero course and the early fruits of his labor can be seen here. It's important enough to foreshadow in such a huge way, even as the series heads toward its finale.